Size: 15" x 15" (38.1x38.1cm) Thickness: 0.28" (0.71cm). Just the right size use under your heat press. Best industrial silicone foam board made from highest quality flat material for an easy transfer. Open it upon arrival to let it air out before you use it. Good choice for your Cricut EasyPress/3D Vacuum Heat Press. Will not move around, works great for making iron on shirts. Helps to have a good surface to press on. Using the Silicone Pad instead of a flat wood surface,make your Easy Press work so much easier and protect your table from any heat. Keeps the heat in the material for an even distribution. 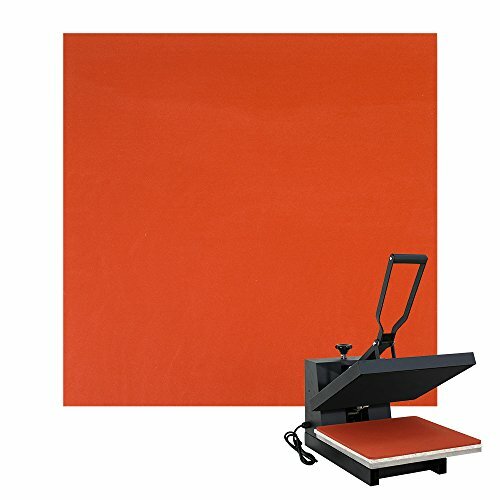 The heat press silicone mat may deteriorate or damaged over time,300 ℃ is the highest operating temperature. 30 Days Satisfaction Guarantee. If there's any quality problems, or do not meet your satisfacation, please feel free to contact us. If you have any questions about this product by Poever, contact us by completing and submitting the form below. If you are looking for a specif part number, please include it with your message.